Explore this jewel of Peloponnese and allow yourselves to get lost in the picturesque alleys of the city of Nafplion. 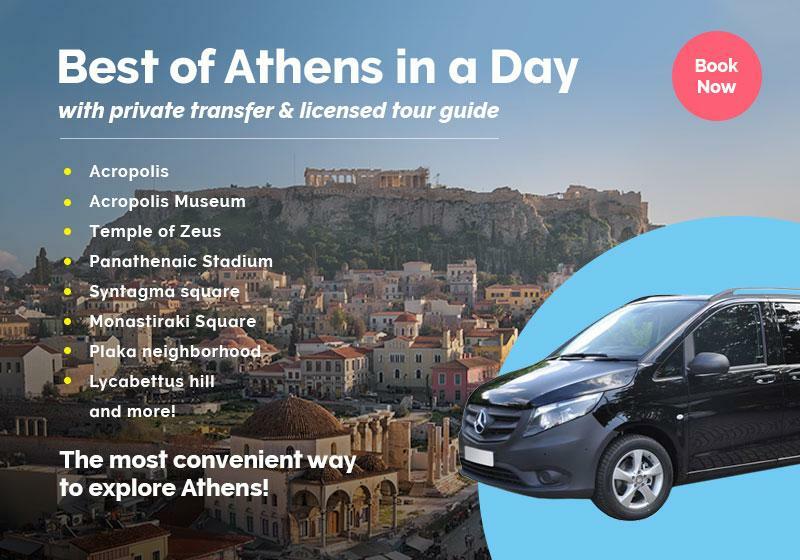 Engage in a 4-hour walking tour around the city and listen to stories that will unravel the history of Greece before your eyes! Travel back in time with a trip to the romantic town of Nafplion and gain a fascinating insight into the first capital of the First Hellenic Republic. Explore an Italianate Town and take in the surreal sea views and the idyllic alleys of the old town. Wander around with our fun and expert licensed guide on an iconic tour of Nafplion and explore the town through a unique walking route! Enjoy a private tour of Nafplion, led by our licensed guide. Perfect for Nafplion first-timers! Get to know Nafplion; one of the most popular getaways near Athens. Ideal for couples and families. Enjoy amazing sea views and picturesque laneways! Available daily as a private tour - please send us an inquiry. The tour was excellent. Our guide was Vivi, who showed us all the secrets of this beautiful city and also took us to places we could not have found on our own. Highly recommended! Our tour starts off at the Land Gate, the sole by-land entrance to the town during the Venetian period. Following our tour guide’s intriguing narrations, you will come across the famous crime scene where Ioannis Kapodistrias – the Prime Minister of the First Hellenic Republic - was assassinated. Making your way to Syntagma Square with the huge plane tree and the old Ottoman mosque, have a stopover at the most renowned Italian gelateria of Nafplion for a delicious ice-cream! Discover the Ottoman and Venetian traces of a bygone era that still has a dominant presence throughout the town; Venetian and neoclassical buildings surrounding the main square and dispersed all over Nafplion lead you through narrow alleys and cobblestone laneways – the most romantic walk ever! Stroll along the town promenade and let the majestic view capture your senses. Finishing up this unforgettable walk, our expert guide will lead you through secret pathways up to a rocky hilltop where Acronafplia, the acropolis of Nafplion, sits on; enjoy the endless sea blue and let the majestic panoramic view take your breath away! Start your exploration from one of the remaining Venetian gates leading to the medieval city, situated close to the main bus station of Nafplio. The gate is known as the Land Gate and even though the walls are nowadays in ruins, the visitor can still imagine what the area used to look like. Just before the gate, a deep trench was securing the inaccessibility of Nafplio in case of a siege. A small retractable bridge open from dawn to dusk, allowed the inhabitants to access the walled old city. Architecturally, the gate is an ashlar stone arch, flanked by tower-like pilasters and crowned with the symbol of the Venetian Republic, a winged lion. The crest of the Venetian Grimani family completes the decoration of the Gate. Originally built during the first Venetian occupation of the city, the form it has today dates back to the beginning of the 18th century, when it was redesigned by a French engineer. Numerous warfares resulted in the partial demolition of the gate, but today, after an extended restoration programme, the site stands as it was when first built. Right next to the Archaeological Museum, lies the building of the old Parliament. Originally built as a mosque, the old Parliament has a fascinating story. After the conquest of the city by the Ottomans, two Venetian brothers visited the city with the goal of discovering a treasure that their father had hidden during the siege. Following a map, they located the treasure at the serai of the local Ottoman official (Aga) and after coming into an understanding, the brothers decided to share the treasure with the Aga. In the meantime, the Ottoman Aga changed his mind and murdered both brothers to keep the treasure for himself. Out of guilt, he spent some of the treasure to erect a mosque, in an effort to soothe his conscience. From 1825 to 1826, the mosque was converted into the Parliament of Greece but during the coming years, it served as a school, a court and a prison. Today, the building operates as a museum, the Municipal Gallery, with many events being held there. A work of the German sculptor Christian Siegel, the first professor of Sculpture of the Polytechnic School of Athens, the sleeping lion of Nafplio follows the idea of the famous lion of Lucerne. Commissioned by the father of King Otto of Greece, Ludwig I, it stands as a memorial of the Bavarian soldiers that succumbed to the typhoid fever between 1833-4. Situated at the neighbourhood of Pronoia, it is directly carved on the natural rock, having a relaxed pose that emits power and tranquillity at the same time. After its completion, the locals named the lion Aggourhon, because they attributed the death of the Bavarians to the excessive consumption of squirting cucumbers (Ecballium). Very much so! Our expert guide will provide fascinating info & easy to understand stories, that will make this tour an unforgettable experience for your little ones!